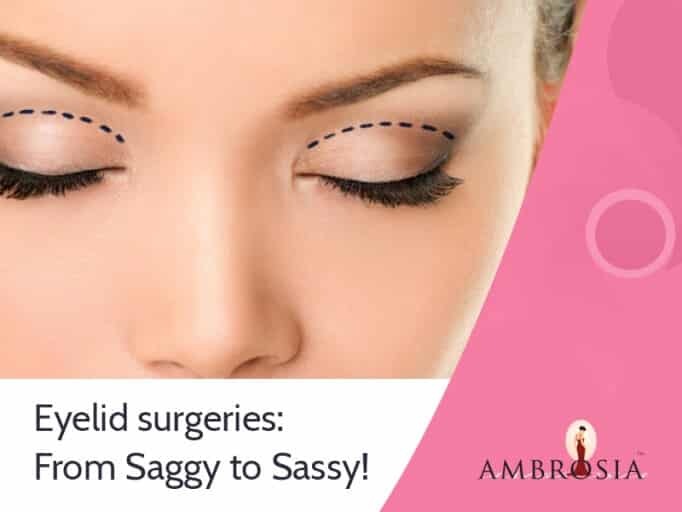 Eyelid surgeries: From Saggy to Sassy! If we begin to talk about the significance of the beauty of eyes, we could possibly go on and on about it, possibly becoming a William Wordsworth ourselves. To cut a long story short, eyes are the most attractive, and act as the central focus of facial expressions. Not to forget the most important sense that we live with, is the eyesight. But did you know that eyes are the most sensitive too? Not just in terms of catching infections, but also with regard to wrinkling, sagging, and drooping of the lids. Imagine not being able to open your eyes in spite of having a perfect eyesight. Imagine lifting up your eyelids every time you have to look at something. You don’t want that happening. Do you? If you are concerned about having droopy eyelids, you’ve landed on the right page. Yes, here you will find answers to all your concerns. So go ahead and read. Let’s start with what droopy eyelid is. Droopy eyelid is a naturally occurring condition in some people that creates a characteristic of ‘sleepy eye’ look. But, the bigger concern apart from the cosmetic aspect is that, if it isn’t addressed in time, it may lead to difficulty in vision. Is there a way to get rid of droopy eyelids? Meet your plastic surgeon, and know how good an experience they hold. Get comfortable with each other. Your surgeon will assess your problem and recommend what kind of treatment would best suit you. You might have a problem with your upper or lower eyelids. Some people have both. It depends of the cause of course, but a confirmation from your doctor is what can help you better. Your surgeon will give you instructions to prepare for your surgery. Food is an integral part of your preparation, and plays a significant role in eye health. Your surgeon will also give you instructions on the intake of certain medications before the surgery. Like in cases of any other surgery, you will need to have someone drive you back home. An eye-lift or an eyelid surgery usually takes 2-3 hours if the upper and lower eyelids are operated together. It is done on an outpatient basis, and under local anesthesia. If you are getting all four eyelids done, then your surgeon might first work on your upper eyelids. The procedure begins with cutting along the natural lines of your eyelids. The skin is separated from the tissue beneath. The excess fat, skin, or muscle is then removed. The incisions are then sutured back. The sutures on the upper eyelids remain for about a week. The lower eyelids might not need any stitches depending on the technique use for the surgery. 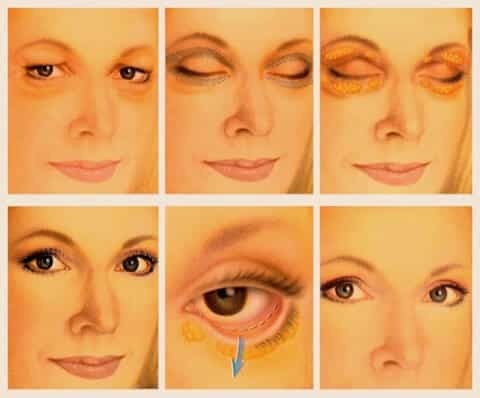 In case of the lower eyelids, the surgery can be done with various techniques. The most used method involves an incision inside the lower eyelids to remove fat deposits. The fine lines on the skin are softened using Co2 or erbium laser. It is undoubtedly great if you can treat drooping eyelids without a surgery. But it is also important to understand that sometimes surgicals are the best way to get better. So if you are also thinking about getting your eyes to look young and brighter again, walk in, and we’ll surely beautify them!